Merit pays its inmate employees market wages to perform all aspects of running its electronic waste recycling small business. Merit Partners, a 501(c)(3) nonprofit, has operated Merit Partners within the Northern California Youth Facility in Stockton, California since 2004. 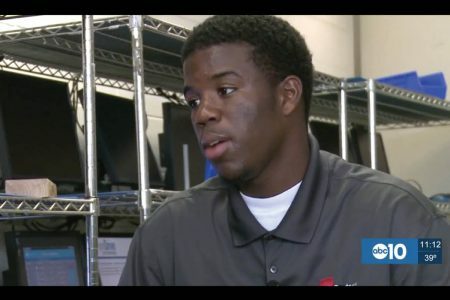 Merit operates its electronic reclamation business by employing and training young adult offenders in all aspects of running a business. From receiving older electronics from our corporate clients, to systemically filing and cataloging each item, to restoring the electronics, to eventually selling and shipping the electronics to customers, each step is performed by our highly trained employees. Our jobs and job-training program helps prepare young adults with the inspiration and skills to succeed upon release from incarceration. Merit hires individuals who show desire to learn and willingness to contribute and be held accountable for their work. Merit Employees get paid a Fair Market Wage. After taxes, where does the money go? Merit Partners is different, and approaches each opportunity with the hopes of changing lives and giving hope to young people by showing they are capable of creating a positive impact in the world. At Merit Partners, we believe in rehabilitation and instilling confidence in its employees, so when they are released, they are less likely to be incarcerated. The incarcerated youth who work at Merit Partners must go through an application process similar to any other job employment process. Many employees hired through Merit Partners have never held a job, so this is the first time to go through this process. Merit Partners pays its employees a fair market wage which then gets divided and given to victims restitution, room and board, and even a savings account. Merit Partners is a completely self-sustaining social enterprise without cash donations or government grants. And through Merit, corporate clients have the unique opportunity to be environmentally responsible while making a powerful change in troubled young lives. 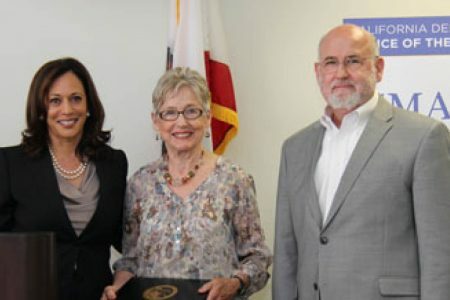 In 2015, California Senator, Kamala Harris awarded Merit Partners a “Smart on Crime” award for reducing recidivism!